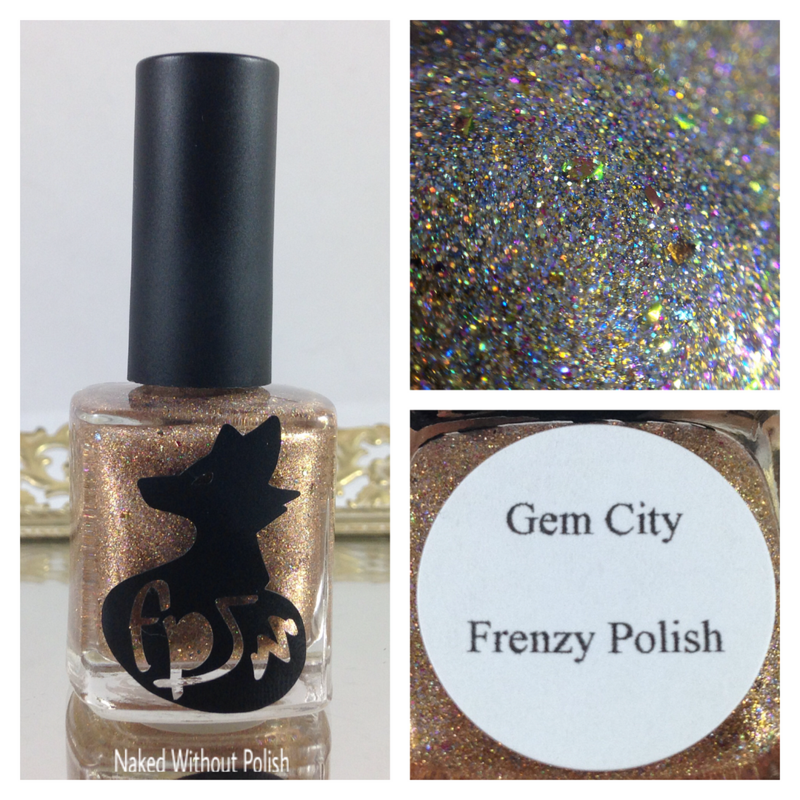 I'm closing out the week with a pretty big Frenzy Polish post. I received this package after her pre-order already started, then they were frozen so I let them thaw...I'm finally getting the chance to show them off. 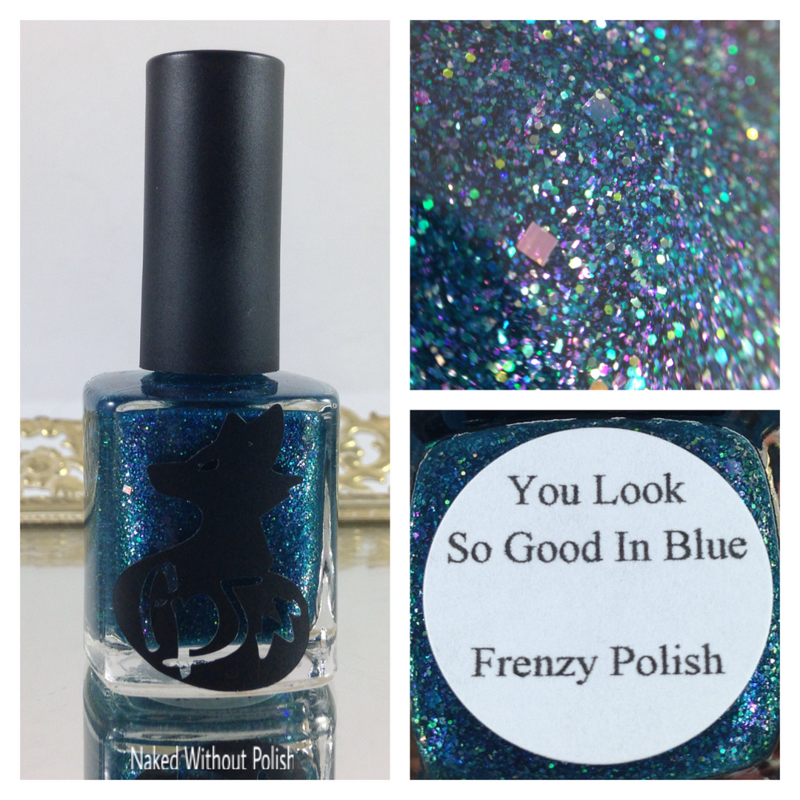 Rachel, the brilliant mind behind Frenzy Polish, had a fun idea to create a collection based on pictures that people in her fan group found inspiration in. 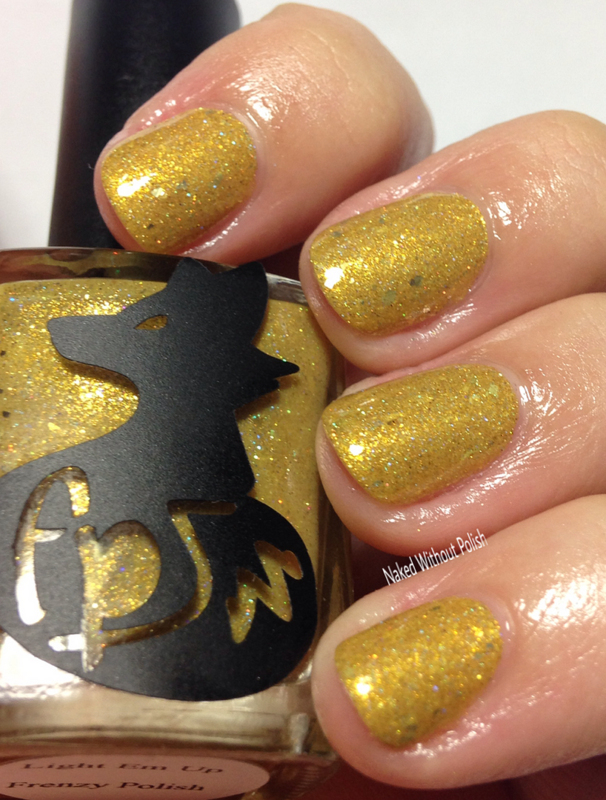 She held a contest for people to share pictures in an effort to have a polish designed after it. Well, needless to say, she had a very hard time narrowing it down. She ended up with eleven (yes, 11) polishes in this collection. 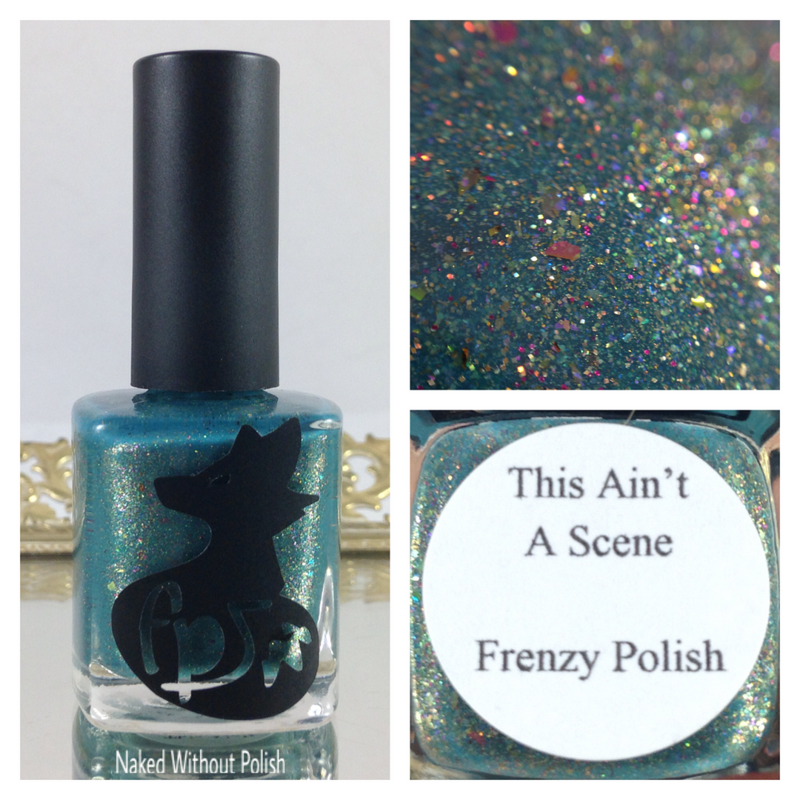 On top of the photo inspiration, her fan group decided the polishes should be named after Fall Out Boy lyrics. 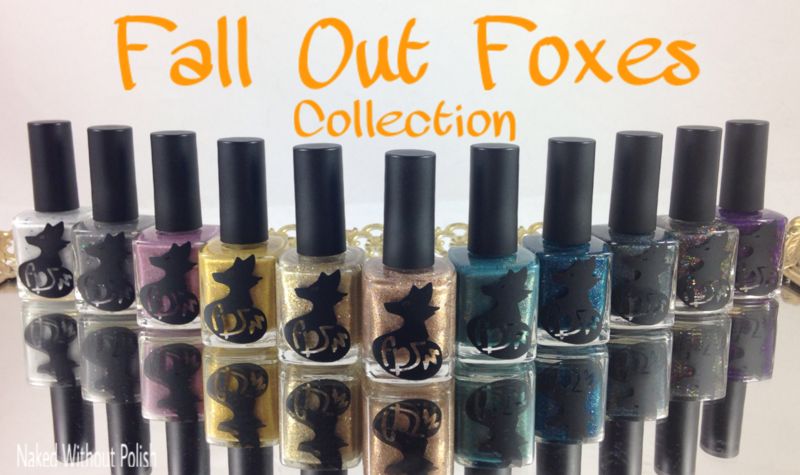 Put the two together and I give you the Fall Out Foxes Collection. 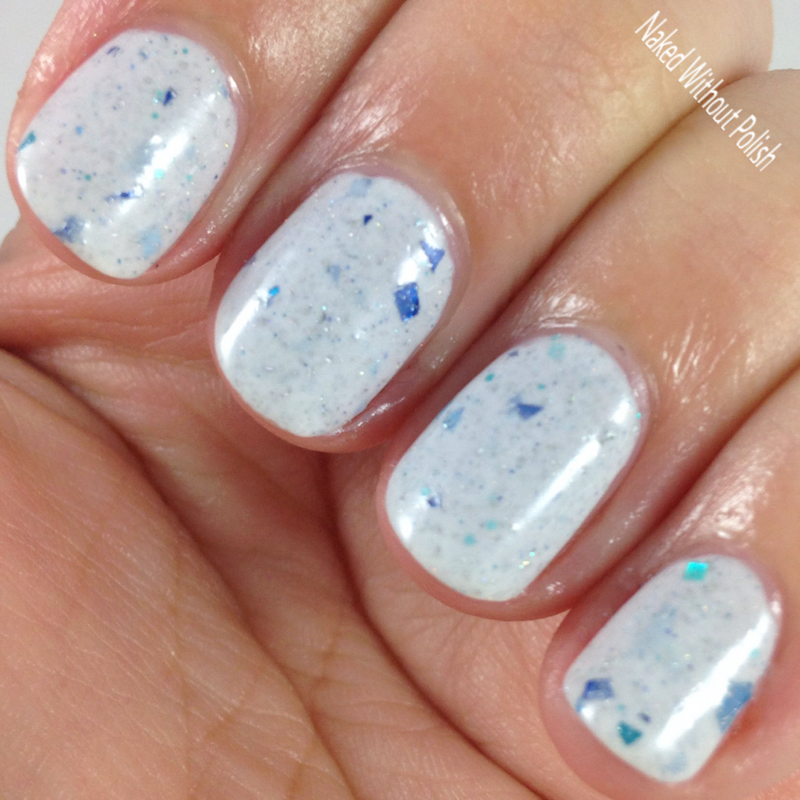 Tears On Ice is a milky white crelly scattered with holo, metallic blue and turquoise shards, metallic turquoise glitter in multiple sizes, and silver holographic micro flakes. 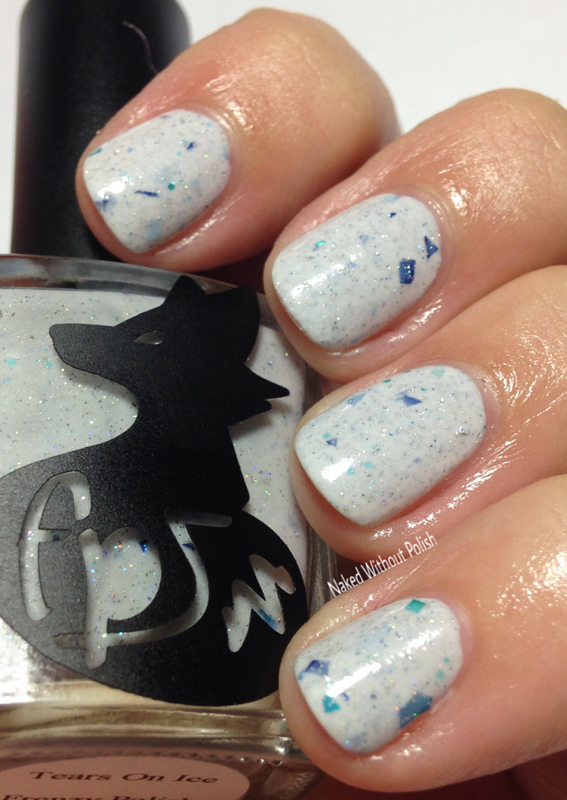 Shown is three coats of Tears On Ice with top coat. 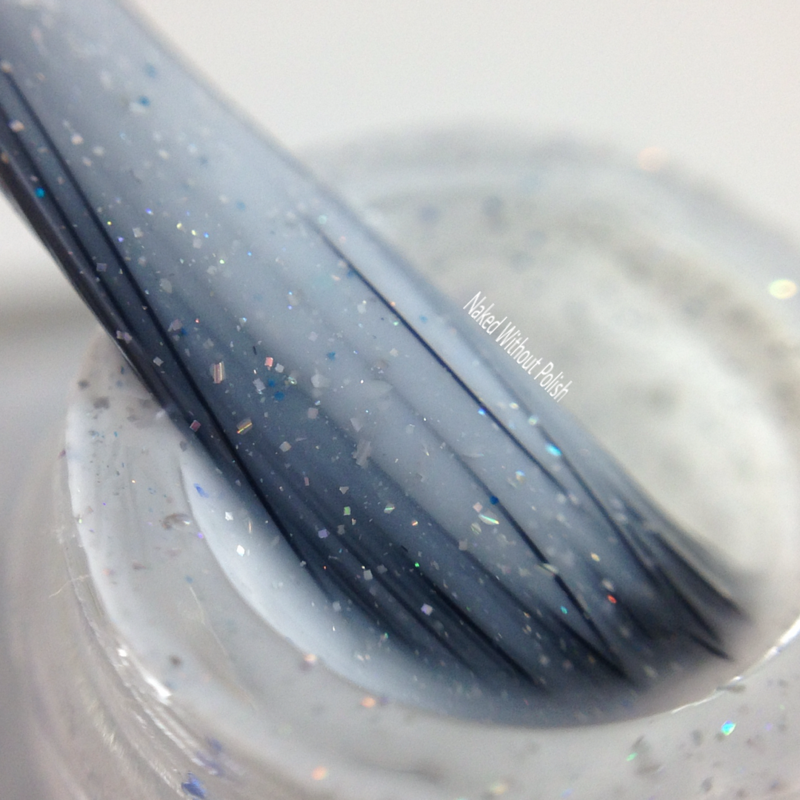 Tears On Ice had a smooth application even though it's so full of glitter. 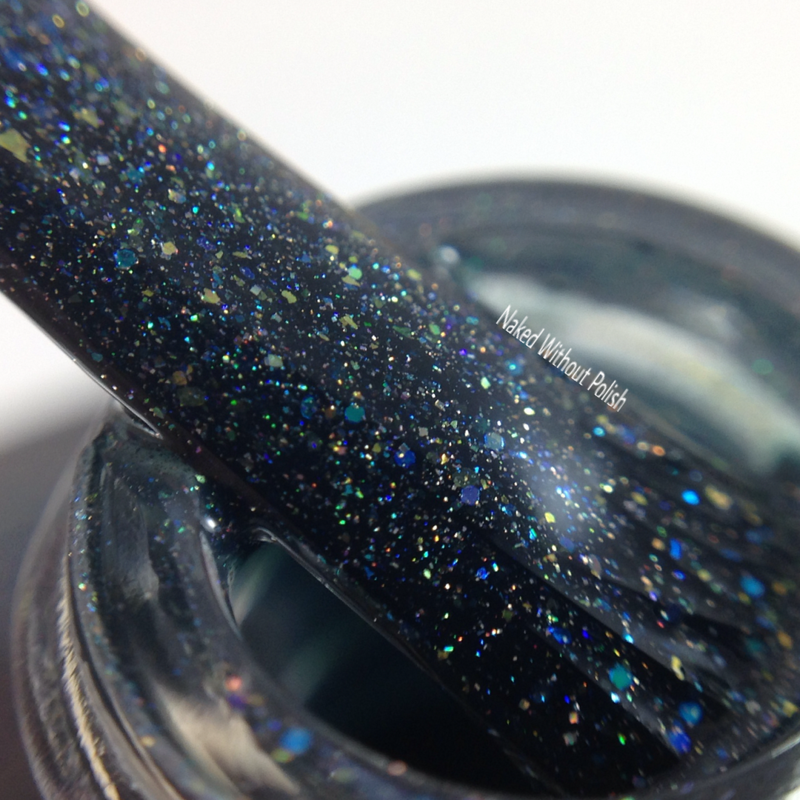 The consistency of the polish is perfection. 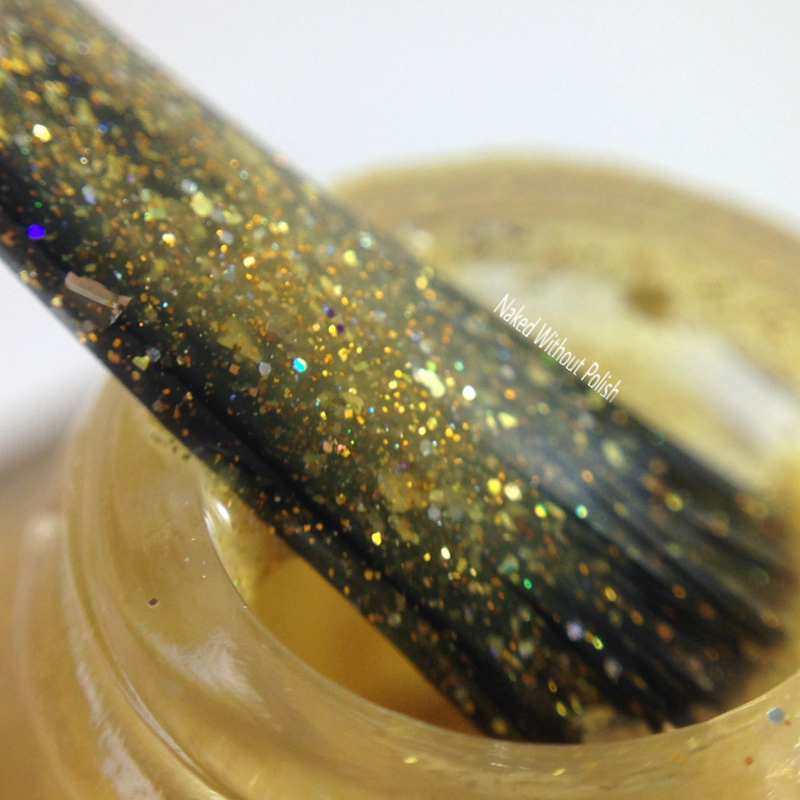 It's the perfect thickness to hold all the glitter and apply smoothly. Not too thin; not too thick. 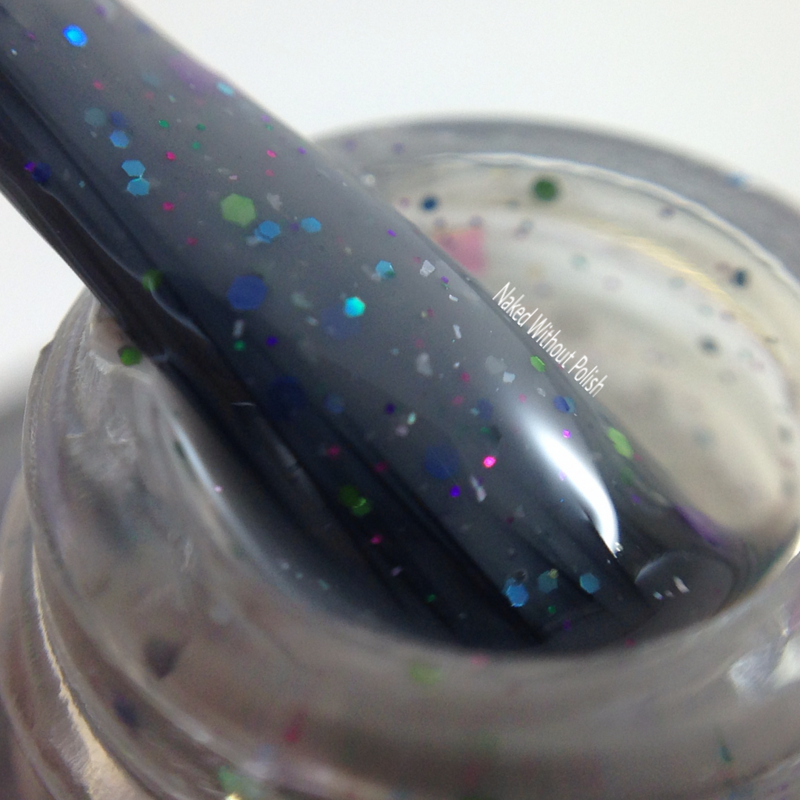 Keep You Like an Oath is a medium grey crelly with metallic fuchsia diamond shaped glitter, metallic silver micro flakes, and metallic and holo glitter in blue, turquoise, lime, and magenta. 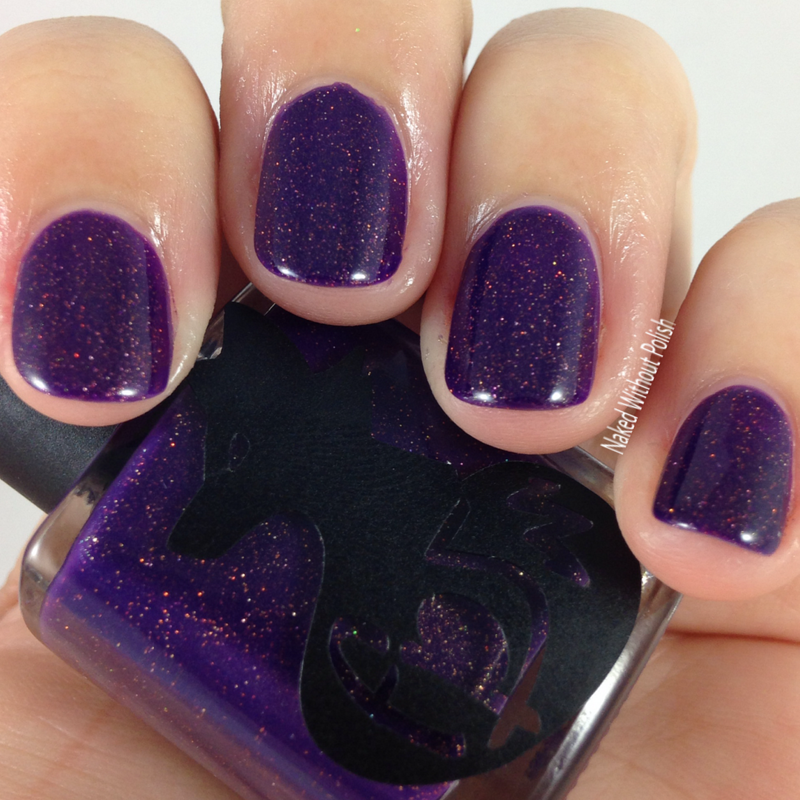 Shown is three coats of Keep You Like an Oath with top coat. Keep You Like an Oath reminds me of confetti concrete. One look at this beauty and I dare you not to grin. It's soft, but full of color. Happiness in a bottle with a gorgeous application. 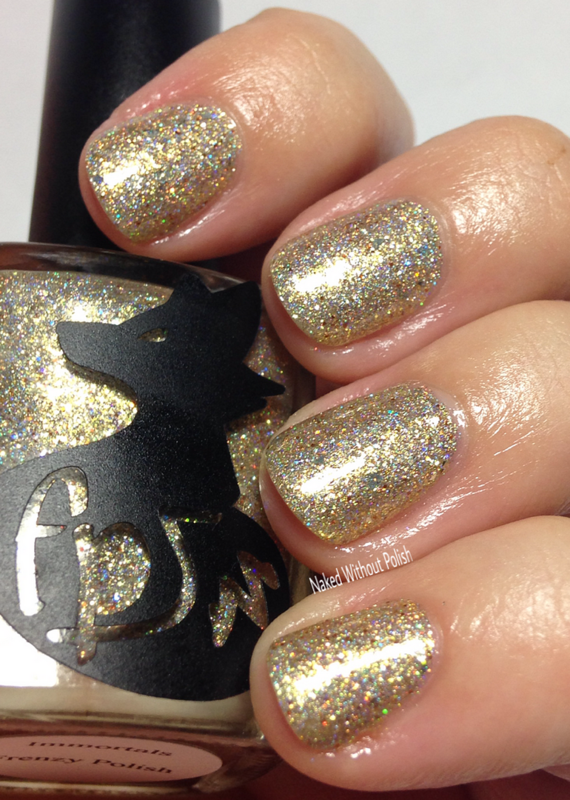 No fishing for glitter, but the diamonds were a little difficult to get out of the bottle. I was more than satisfied with what I did get onto my nail though. 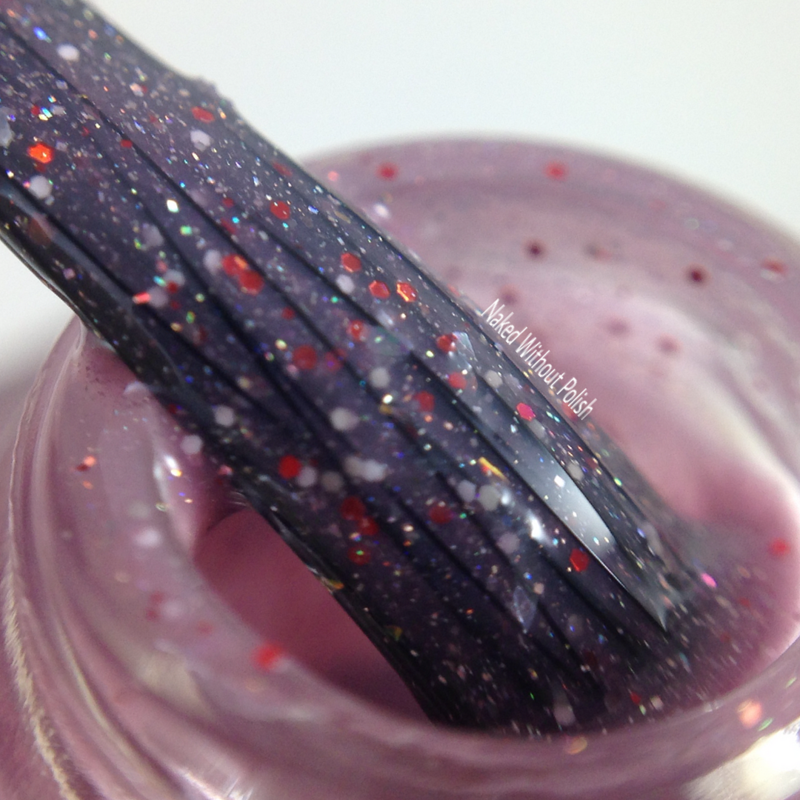 Like You (Only Sweeter) is a pink-toned mauve crelly with metallic red micro glitter, icy white micro glitter, and scattered holo. 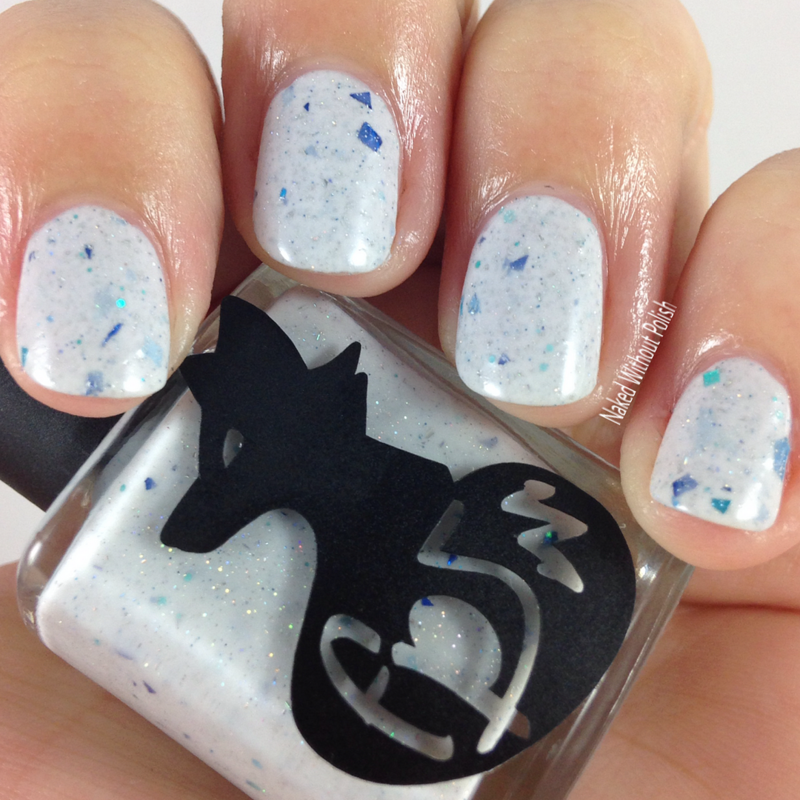 Shown is three coats of Like You (Only Sweeter) with top coat. 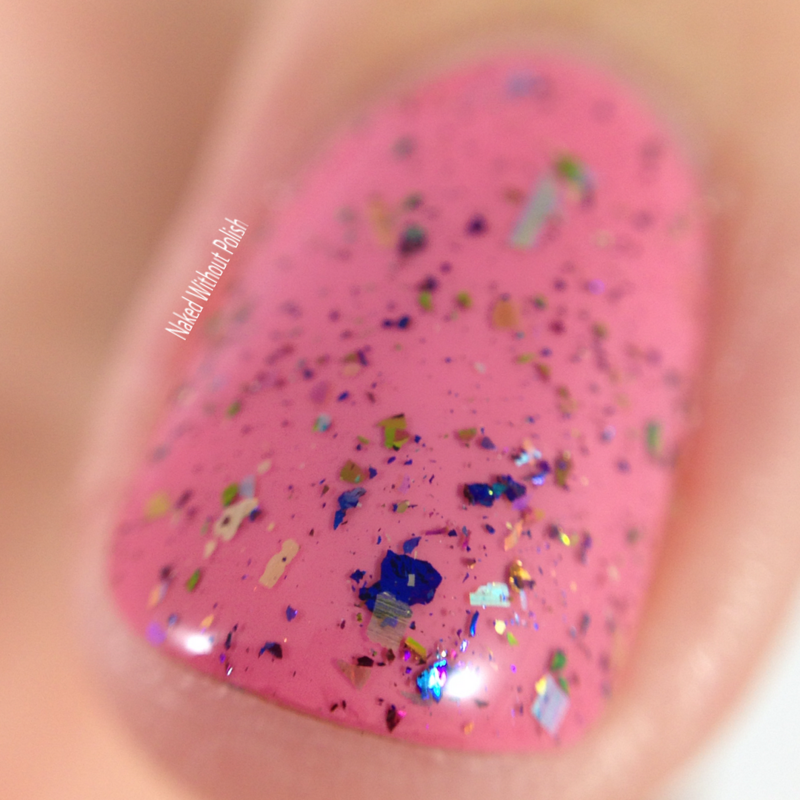 Like You (Only Sweeter) is the perfect Valentine's polish in my opinion. It's beautiful, soft, fun, and flirty all at the same time. 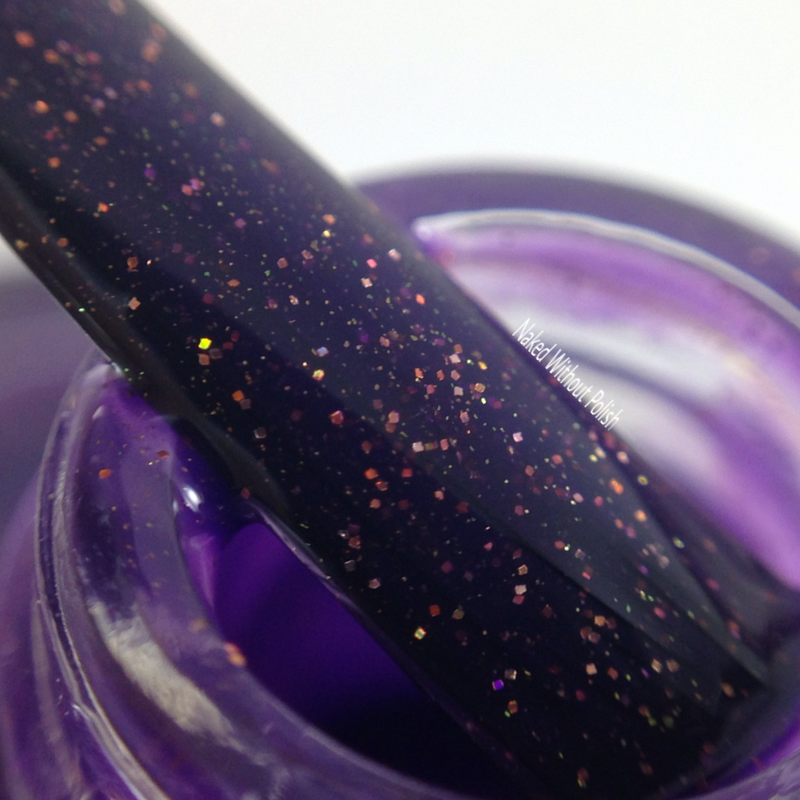 A beautiful well rounded polish. 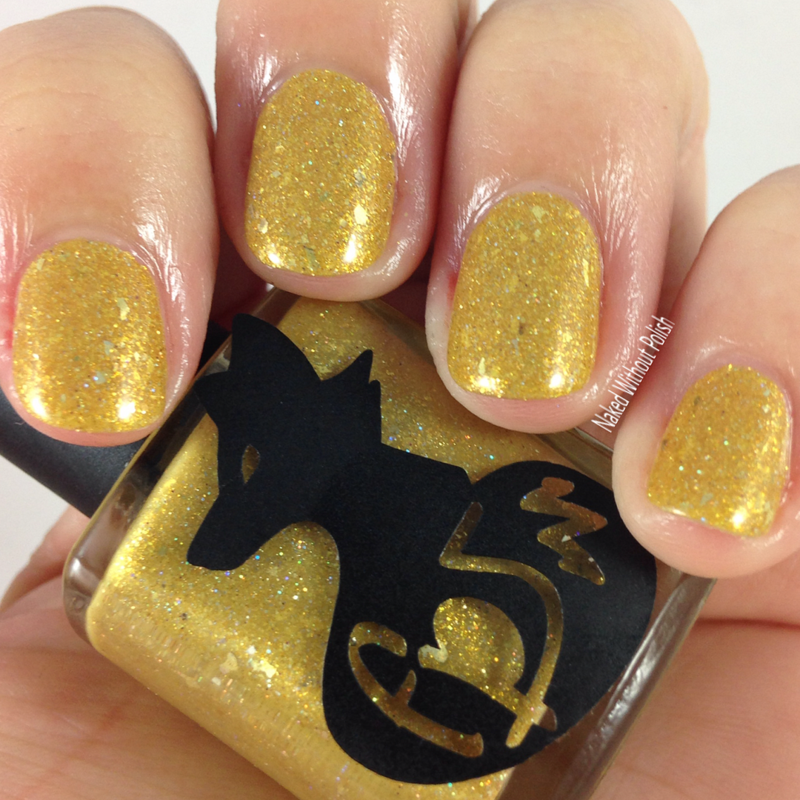 Light Em Up is a metallic mustard yellow dusted with holographic micro glitter and metallic silver shards. 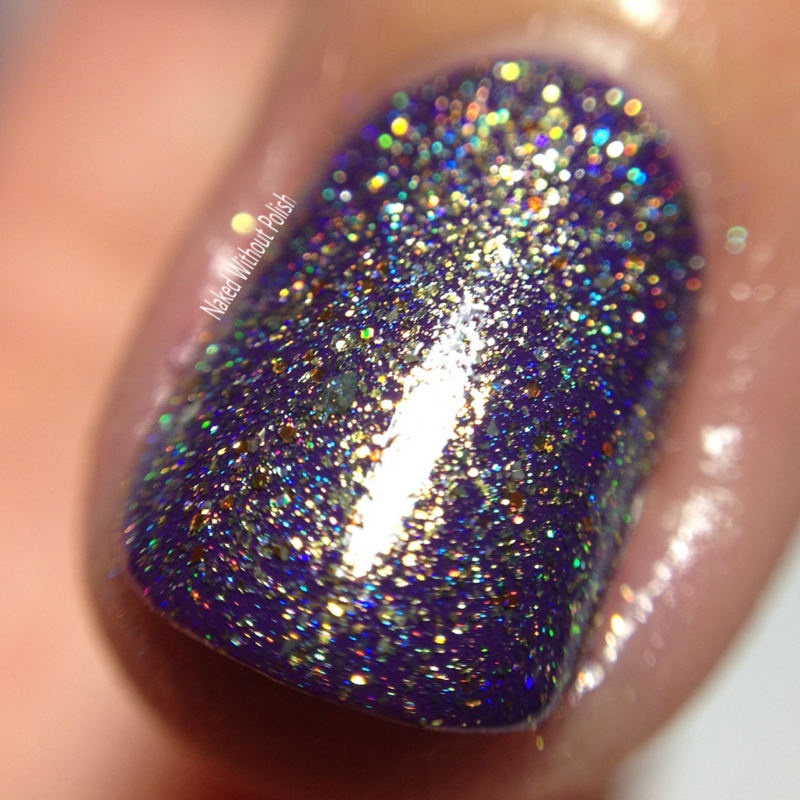 Shown is three coats of Light Em Up with top coat. Light Em Up was a surprise favorite for me. So, when she told me that this one was fully sold out it should have come to no surprise. 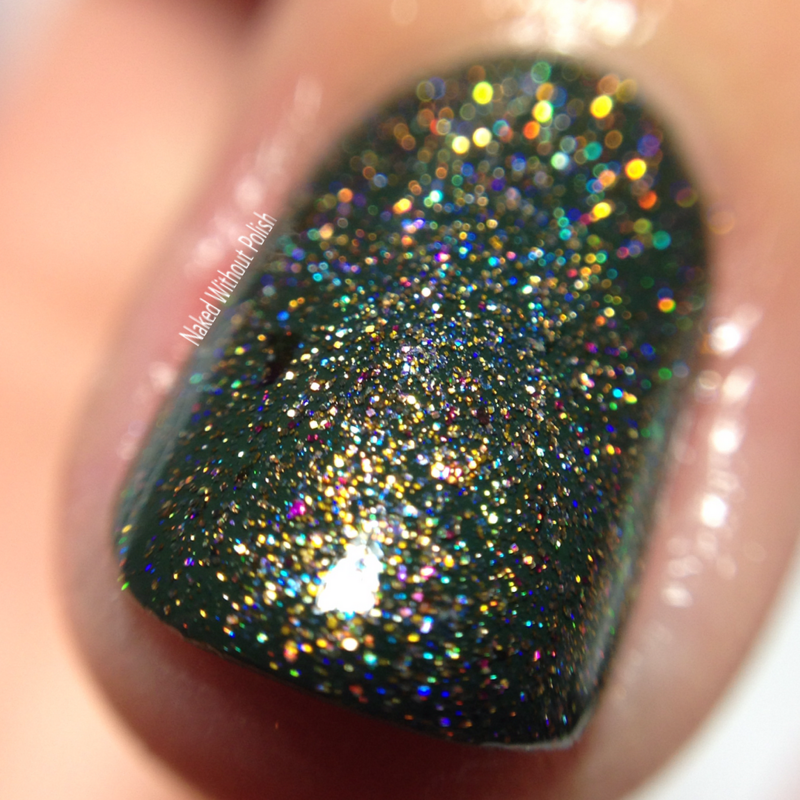 This beauty applied like a dream and simply danced upon my nails. 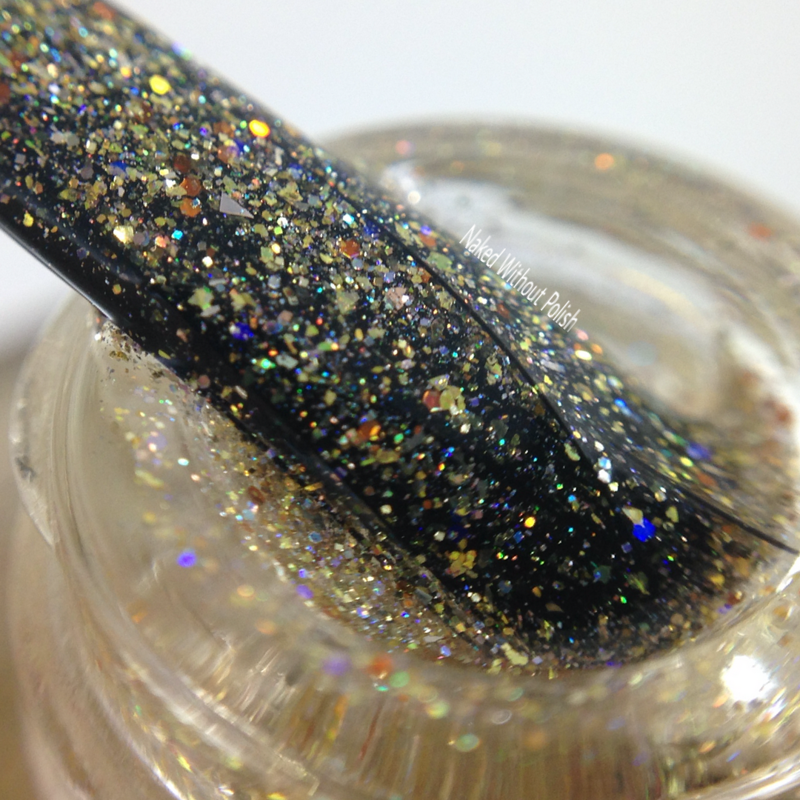 Immortals is a soft metallic gold polish filled with holographic sparkle, metallic bronze and cobalt blue micro glitter, and metallic silver shards. 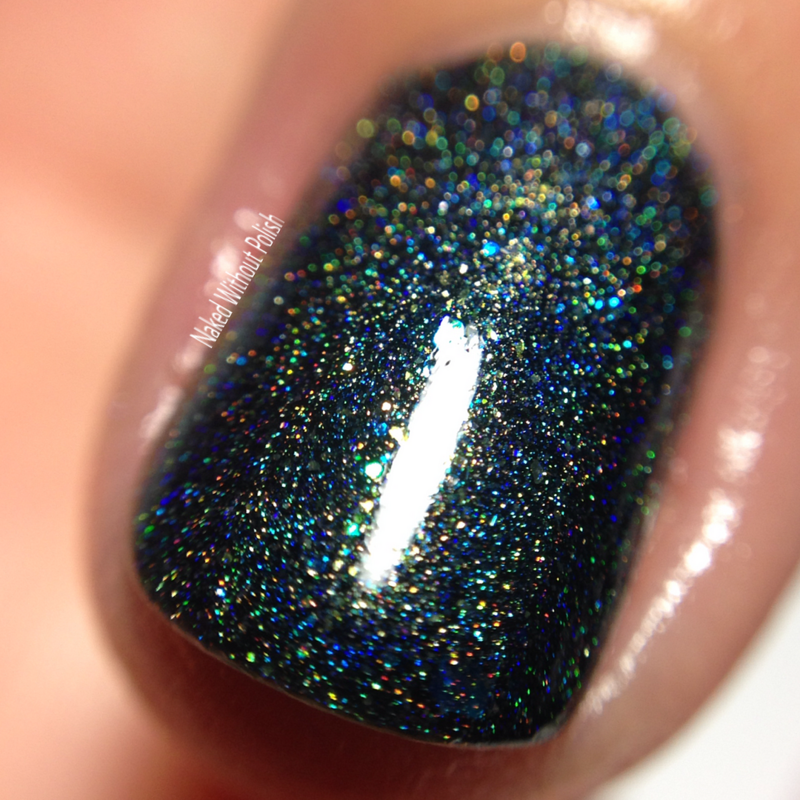 Shown is three coats of Immortals with top coat. Immortals is in a clear base, but don't let that fool you. It is packed with glitter. I tested it as a topper so you could see exactly what one coat looks like. Easy to work with formula. 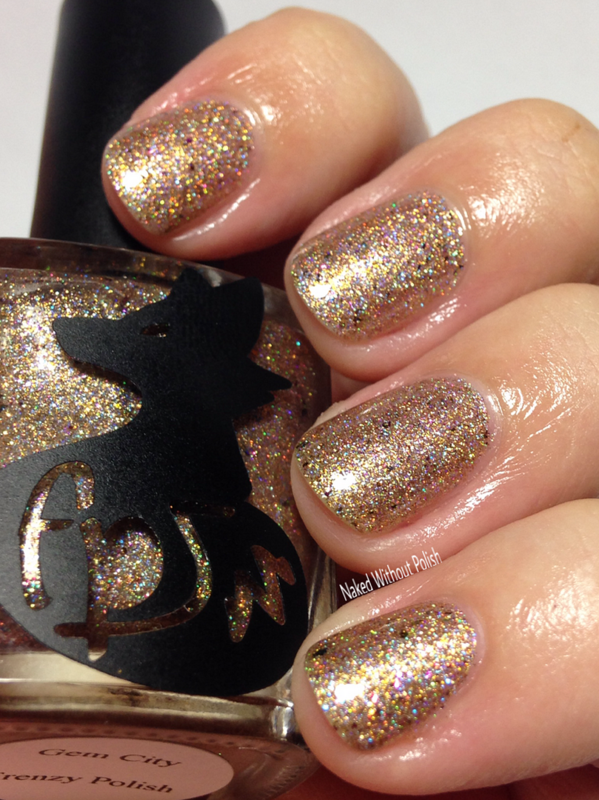 Gem City is a soft bronze-toned copper with holographic sparkle, holographic copper micro glitter, and UCC flakies. 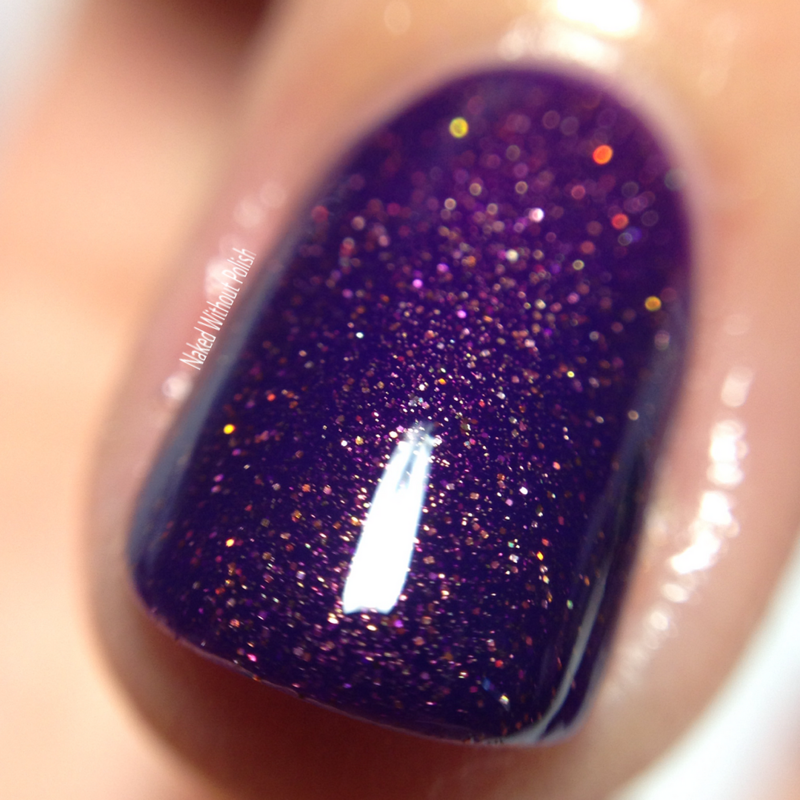 Shown is three coats of Gem City with top coat. Gem City is a unique beauty. 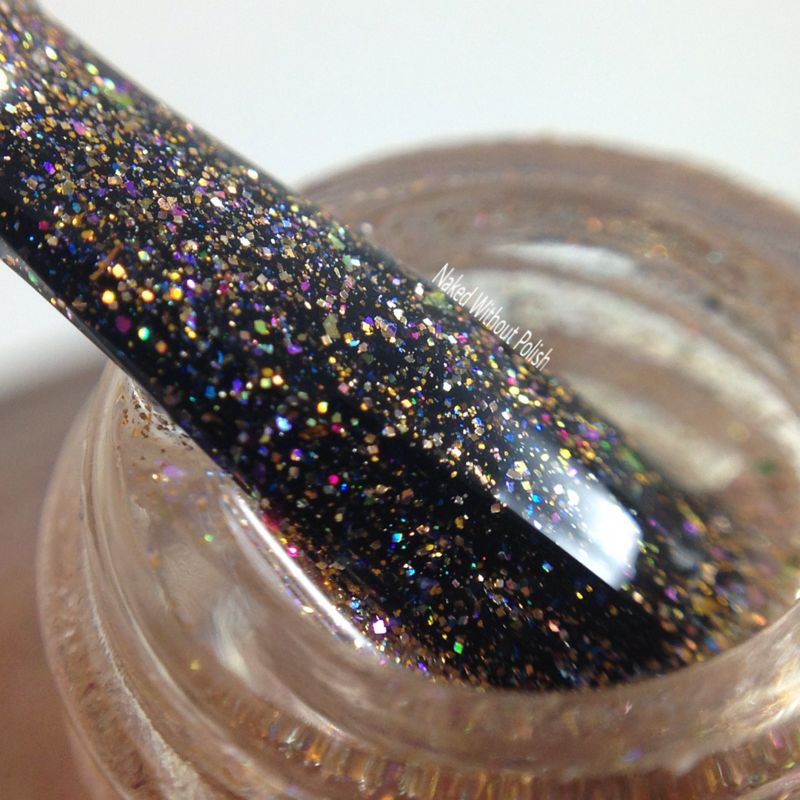 The way the UCC flakies mix with the copper is perfection. It applies without problems or clumping. I've shown it on it's own and as a topper so you can see what one coat gets you. 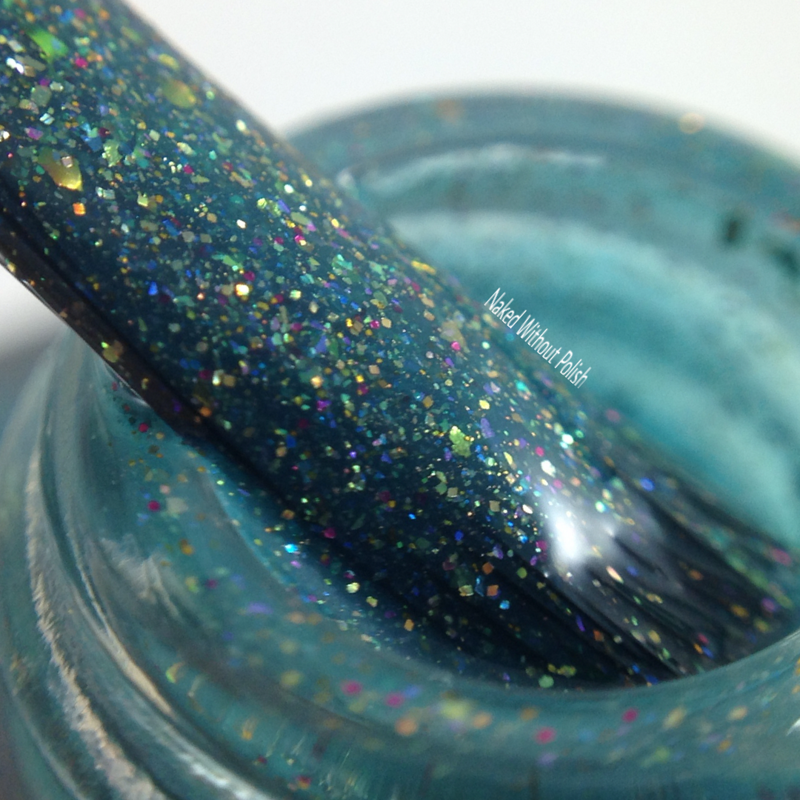 This Ain't a Scene is a green-toned teal crelly with a slight holographic sparkle, UCC flakies, a golden shimmer, and speckled with metallic deep purple micro glitter. 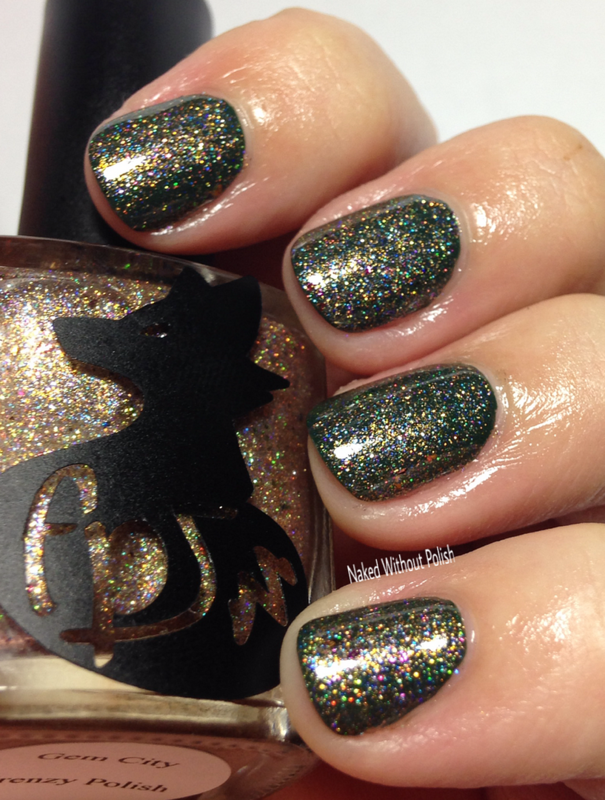 Shown is two coats of This Ain't a Scene with top coat. This Ain't a Scene is absolutely lovely! That's probably why it completely sold out. A real beauty! 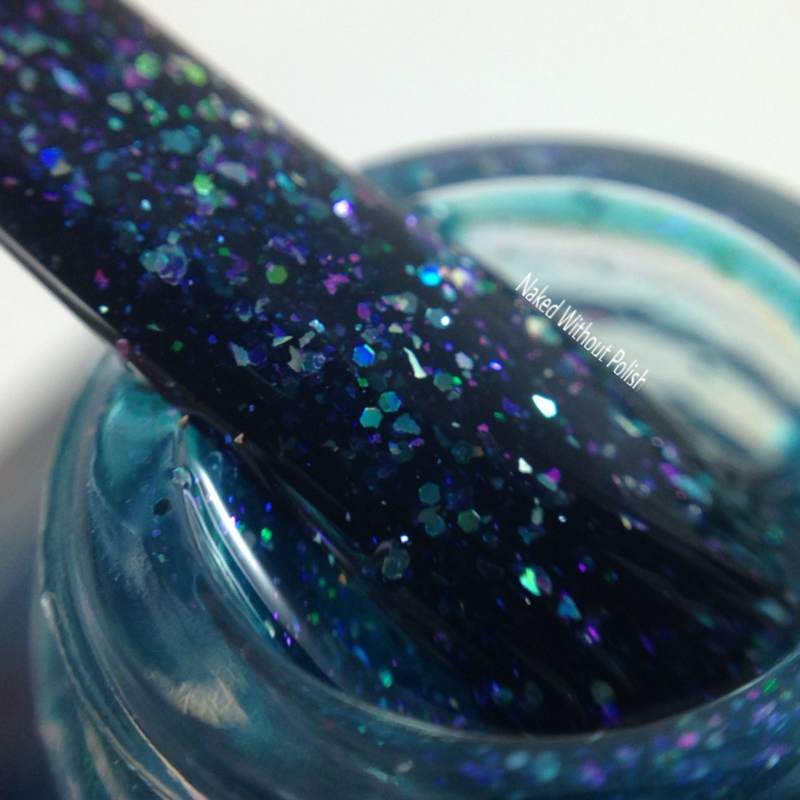 You Look So Good in Blue is a navy jelly with metallic and holographic glitter in blue, purple, teal, and lime. 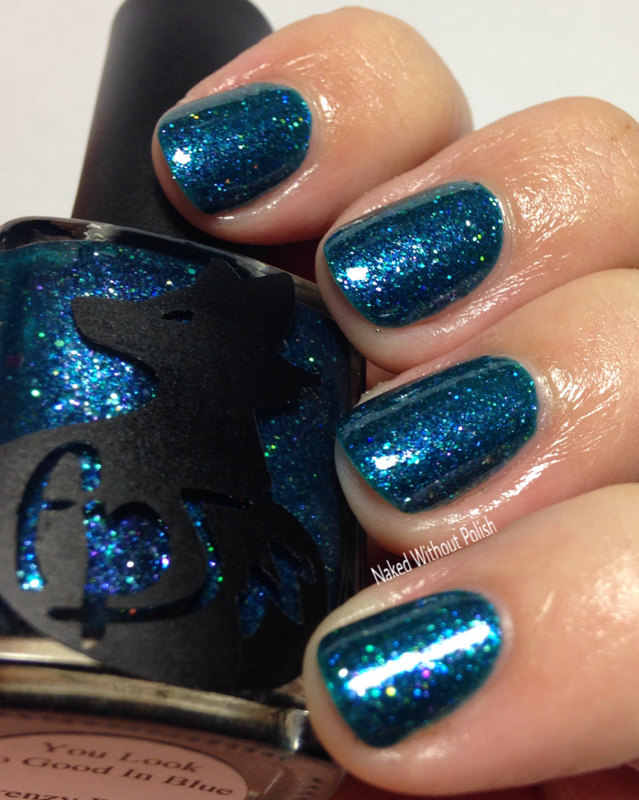 Shown is three coats of You Look So Good in Blue with top coat. You Look So Good in Blue was one that caught me off guard. 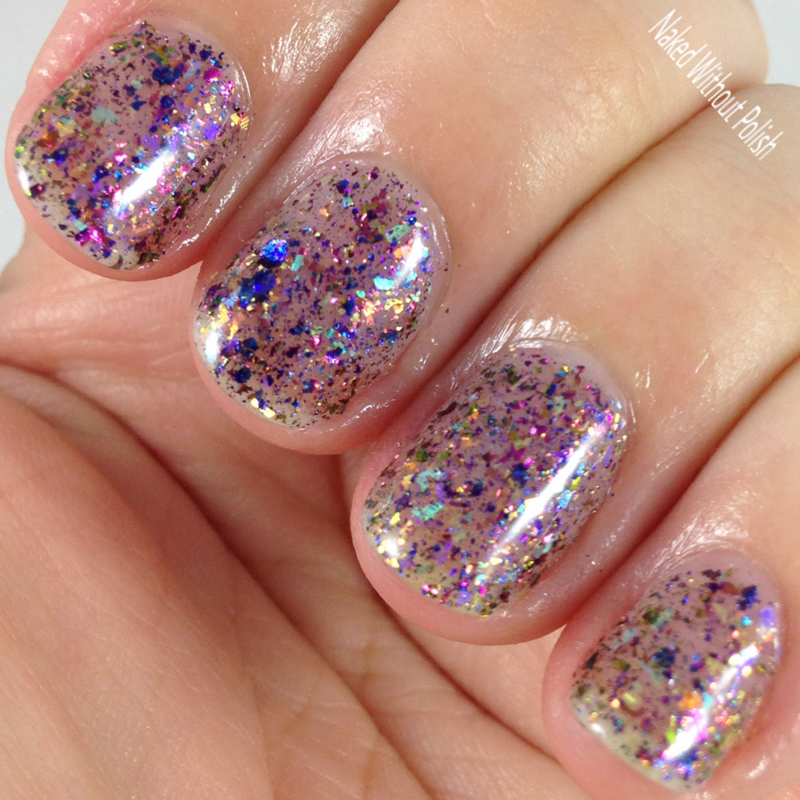 It applied ever so smoothly despite being packed with glitter. 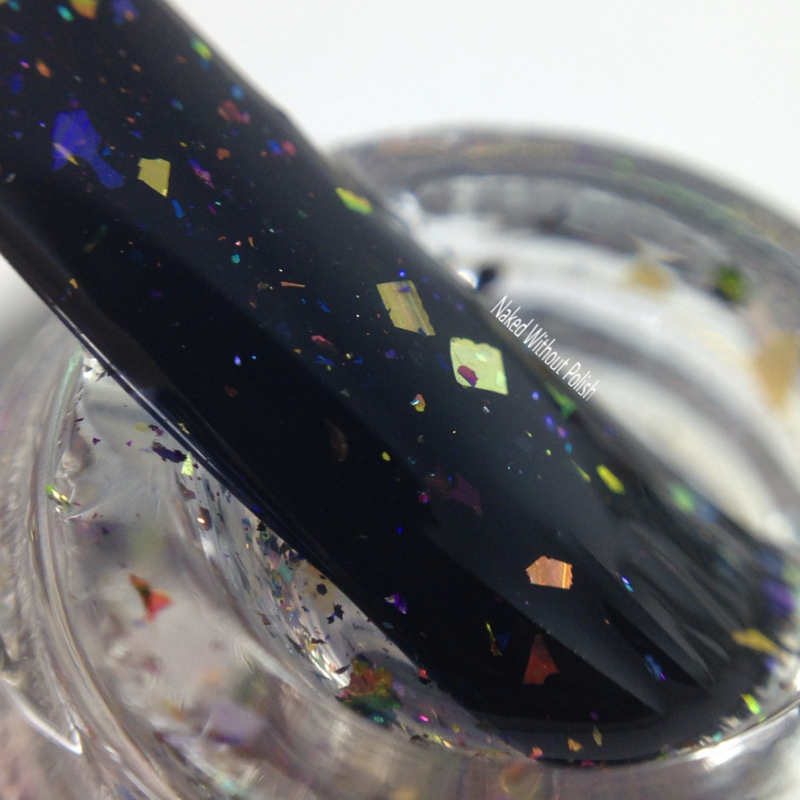 Opaque in three thin coats, once on the nail it comes to life. So much depth and glimmer. 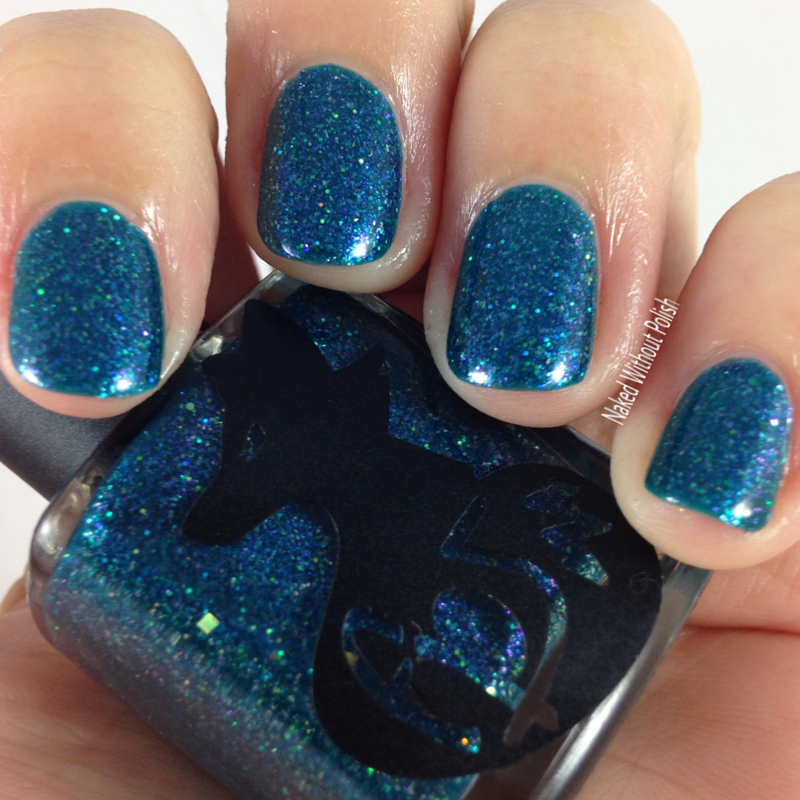 Enjoy a blue polish? This is a must have! 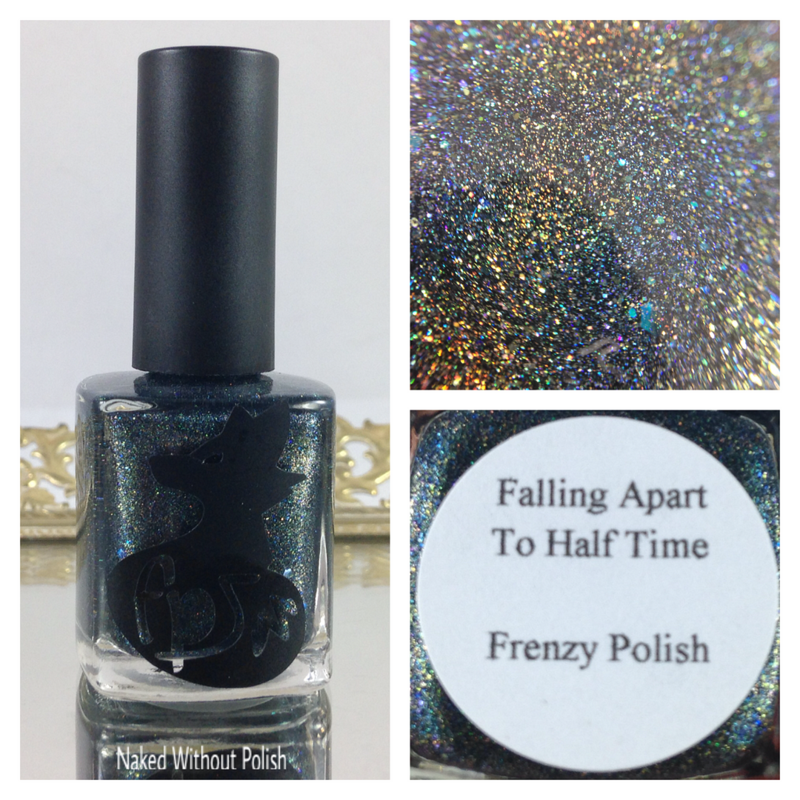 Falling Apart to Half Time is a deep, dark teal linear holographic polish with holographic cobalt blue glitter, and metallic silver micro flakes. Shown is two coats of Falling Apart to Half Time with top coat. Falling Apart to Half Time is like a dream. 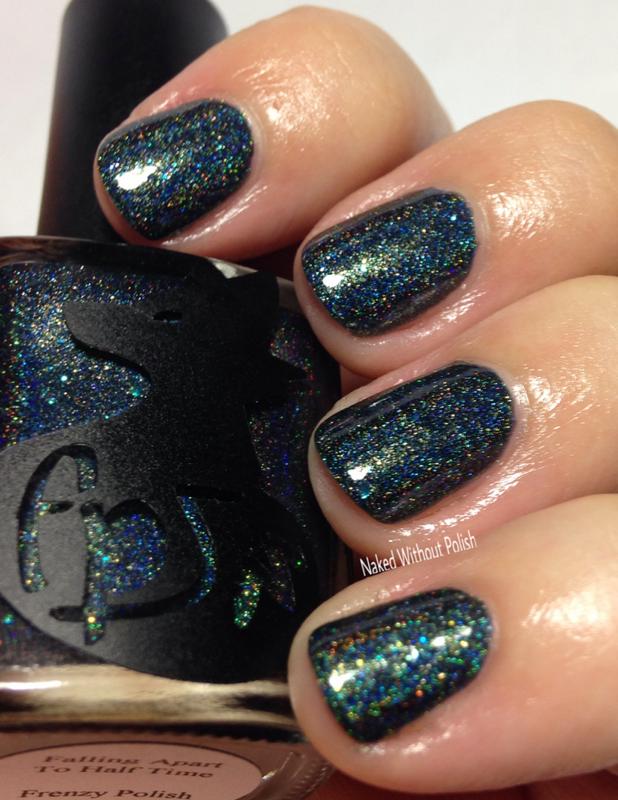 I love a dark polish, and this doesn't disappoint. It's so mysterious, you'll easily get lost in it's depth. 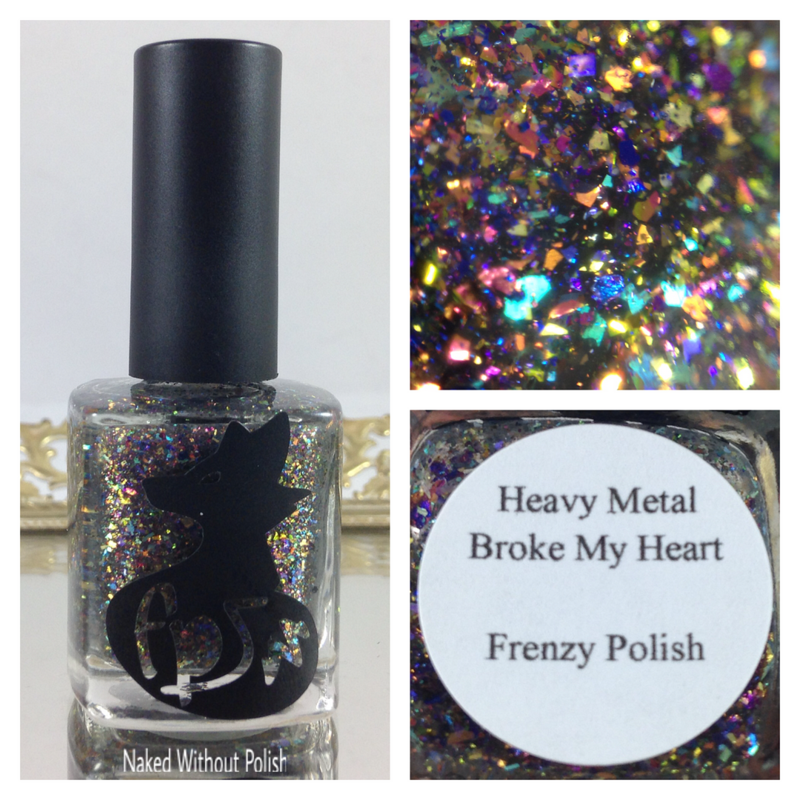 Heavy Metal Broke My Heart is a clear based topper filled with UCC flakies in multiple colors. Shown is three coats of Heavy Metal Broke My Heart with top coat. Heavy Metal Broke My Heart is most definitely best used as a topper, but I've shown it on its own so you can see how it would be on its own. 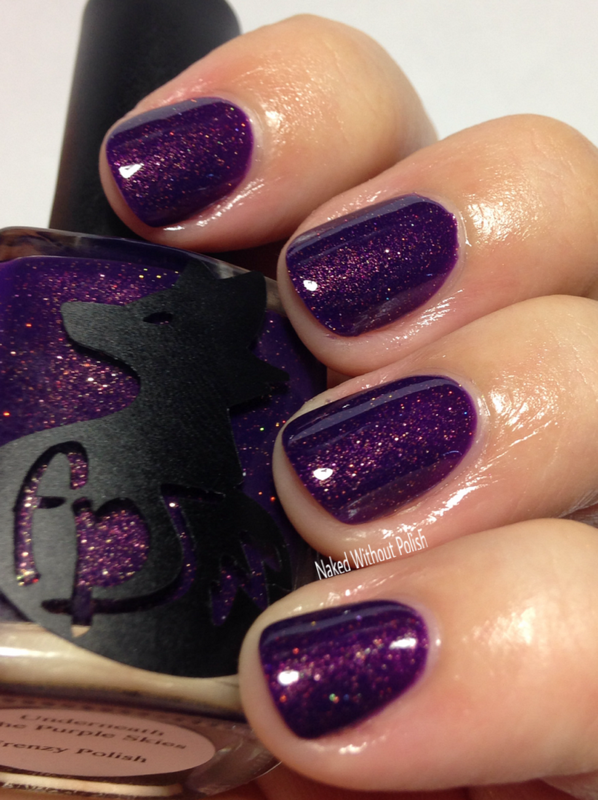 Shown is two coats of Underneath the Purple Skies with top coat. Underneath the Purple Skies is incredible! Perfect application. Once you get this beauty in sunlight or direct light your mind will be blown. 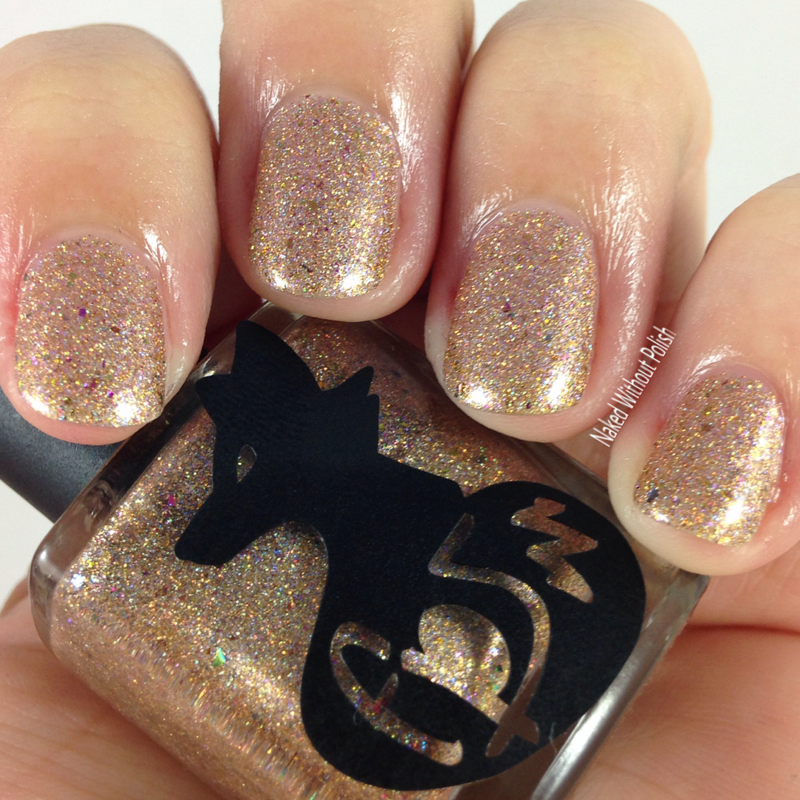 She absolutely killed it with the Fall Out Foxes Collection. Each one is only $9. Since two are already sold out, don't miss out on the others. Once they are gone...they're gone. Rachel outdid herself with this collection. A hell of a way to start 2016. I can't wait to see what this year holds for Frenzy Polish. Big things for sure! 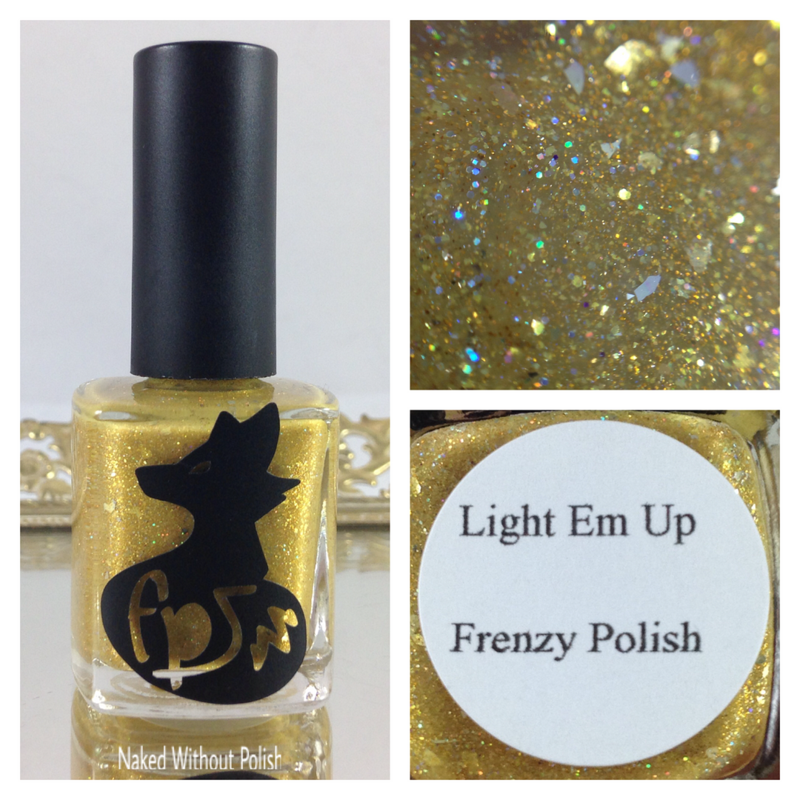 So you don't miss out on any news, pictures, sales, or contests make sure you're following Frenzy Polish on all of her social media platforms (links below). What do you think of these? Do you have a favorite?